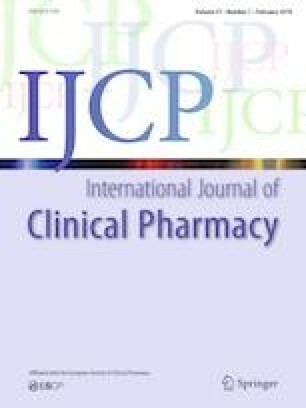 Background Potentially inappropriate medication (PIM) and potential prescription omission (PPO) are common issues in pharmacotherapy in vulnerable populations. A first tool to assess PIM’s and PPO’s targeting pediatric populations: POPI «Pediatrics Omission of Prescriptions and Inappropriate Prescriptions» was created in 2014. Objective This study aimed to evaluate inter-rater reliability between healthcare professionals who apply POPI. Setting: Mother and child emergency ward of a university hospital. Method Twenty cases with or without PIM or PPO were identified in a previous retrospective PIM-PPO prevalence study on 15,973 patients. One doctor and one pharmacist, who participated in the creation of POPI tool, identified PIM and PPO (“gold standard response”). These cases were reviewed independently by eleven clinicians (generalists, pediatricians, pharmacists, residents), with no previous experience of this tool. Interrater agreement was calculated by using the Kappa agreement test. Main outcome measure: Inter-clinician agreement. Results A high level of agreement of PIM and PPO detection was recorded (PIM: median = 0.80; PPO: median = 0.71). Conclusion POPI demonstrated a good interrater reliability. This validation by many clinicians proves that POPI is a reliable tool. Other multicenter and prospective studies should be conducted to evaluate economical and clinical impacts of POPI. The online version of this article ( https://doi.org/10.1007/s11096-019-00819-1) contains supplementary material, which is available to authorized users. We would like to thank Dr Dominique Navas, Dr Henri Hollenberg, Dr Lila Alloing, Dr Romain Basmaci, Dr Dominique Girardon, Dr Lucie Vuillemin, Dr Philippe Zerr, Dr Marie-Aliette Dommergues, Dr Sandrine Masseron, Dr Julie Sommet, Dr Lise Durand for their participation in this study. Inappropriate Prescribing—MeSH—NCBI [Internet]. [cited 2015 Apr 13]. http://www.ncbi.nlm.nih.gov/mesh?term=inappropriate%20prescription. Legrain S others. Consommation médicamenteuse chez le sujet âgé. Consommation, prescription, iatrogénie et observance. 2005 [Medication use in geriatric population. use, prescription, medicine-related illness, observance] [Internet]. http://www.has-sante.fr/portail/upload/docs/application/pdf/pmsa_synth_biblio_2006_08_28__16_44_51_580.pdf. Direction de la recherche, des études, des évaluation et des statistiques. Enquête Nationale sur les Événements Indésirables graves associés aux Soins - Description des résultats 2009 -[National survey into adverse events related to medical care - Results 2009] [Internet]. [cited 2015 Nov 11]. http://drees.social-sante.gouv.fr/IMG/pdf/serieetud110.pdf. Josseran L, Caillère N, Ilef D. Emergency surveillance—Oscour Network National results 2004/2008 [Internet]. French Institut for Public Health Surveillance; 2008. http://invs.santepubliquefrance.fr/publications/2008/plaquette_resultats_oscour/plaquette_resultats_oscour_en.pdf. SurveyMonkey. SurveyMonkey [Internet]. 2015. https://fr.surveymonkey.com/r/86P7BQC. Smartphone application of primary care guidelines used in education of medical students. PubMed—NCBI [Internet]. [cited 2018 Feb 6]. https://www.ncbi.nlm.nih.gov/pubmed/23467657. Enhancing Pharmacy Student Learning and Perceptions of Medical Apps.—PubMed—NCBI [Internet]. [cited 2018 Feb 6]. https://www.ncbi.nlm.nih.gov/pubmed/27174684.